Sonnes Organic Foods Inc – Since 1946 Maximize your Immune System Potential - Sonne's Organic Foods, Inc.
By: Dr. Robert Irons, Ph.D. Frequently, I am asked about ways to “boost” your immune system. While there are a lot of different opinions on this, the truth is that you really don’t “boost” the system. You can only achieve optimum function, which is measured by successful, but controlled defense against infection. In fact, the immune system is poised on a fulcrum – balanced between a sufficient enough response to clear an infectious agent, and moderating that response so it does not destroy host tissue. Auto-immune disorders (e.g., Crohn’s disease, multiple sclerosis, etc.) are cases where maximum immune responses may not be desired. Because the pathology of all diseases involves tissue damage, and the immune system is responsible for removal of cell debris, there is an immune component to all disease. The most common routes of infection are through the skin, mucous membranes, and gastrointestinal (digestive) tract. These tissues must function normally to maintain optimum immunity. If the skin is dry and cracked or suffers from eczema, rashes, psoriasis, or other disorders, it cannot present a successful barrier to infection. Mucous membranes in the eyes, nose, and lungs must protect us from infectious agents, while not producing so much mucus and catarrh as to prevent clearance of the agent. The gastrointestinal tract must be functioning properly and flowing freely in order to keep dietary immunogens and toxins moving through and out of the body. It makes sense, then, that the nutrients that are required for a healthy immune system are also those required for healthy skin, lymph, and digestive health. While the essential nutrients maintain immune system health, there are bioactive food components that can modify the immune response. The immune response is associated with the generation of free radicals, which must be neutralized before causing damage to cellular organelles and DNA. Vitamin C (water-soluble) and vitamin E (fat-soluble) work to neutralize free radicals inside the cell and at the cell membrane, respectively. Selenium functions in selenium-containing proteins (selenoproteins), which have antioxidant activity throughout the cell. Good sources of vitamin C are fresh fruits and vegetables. To get the most benefit, use natural food sources rather than isolated ascorbic acid. Good sources of vitamin E are nuts and seeds, leafy greens, whole grains, some fruits and vegetables, and wheat germ oil. When obtained from food sources alone, vitamin E has no documented research of toxicity. Selenium is present in nuts (especially brazil nuts), seeds, fruit, vegetables, seafood and meat, but the content varies greatly depending on the selenium content of the soil in which the plant was grown, and the fodder on which the livestock was raised. The immune system uses inflammation to respond to infectious agents. But, the inflammation is held in check by signals that temper the extent of inflammation, so that host tissue is not affected greatly. Vitamin A (fat-soluble) has been shown to shift the immune response toward a humoral response that involves less inflammation. Long chain omega-3 polyunsaturated fatty acids, principally eicosapentaenoic acid (EPA) and docosahexaenoic acid (DHA) alter eicosanoid (fat-soluble messenger) production, thereby keeping inflammation in check. They also down-regulate the cytokines (protein messengers) that promote inflammation. An excellent food source of vitamin A, EPA, DHA, and vitamin D is cod liver oil. Fish and fish oils provide the omega-3s but do not provide the fat-soluble vitamins A and D. Beta-carotene is a precursor to vitamin A, and is found in leafy green and orange-colored vegetables like spinach, kale, sweet potatoes, carrots, and some fruit. Vitamin D is a fat-soluble vitamin that humans can make to a limited extent by exposure of the skin to sunlight. It is essential for proper calcium metabolism and bone mineralization. In the immune system, vitamin D is required to induce cell differentiation – a maturation process that all cells must go through to become fully mature and functional. Many nutritionists believe that people are unable to make sufficient vitamin D by sunlight exposure alone, so dietary intake of vitamin D is necessary. 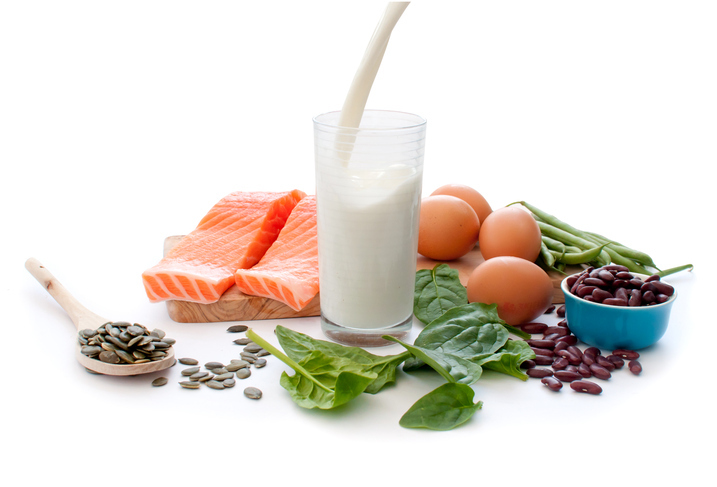 Good food sources of vitamin D include liver and cod liver oil (a nutritional powerhouse), shellfish, milk, and eggs. Milk naturally contains vitamin D in the cream fat, but commercially available milk has the fat removed (especially low-fat and skim), so synthetic vitamin D is added back to the milk during pasteurizing and processing. Bacteria are everywhere. There is no sterilizing or escaping them. 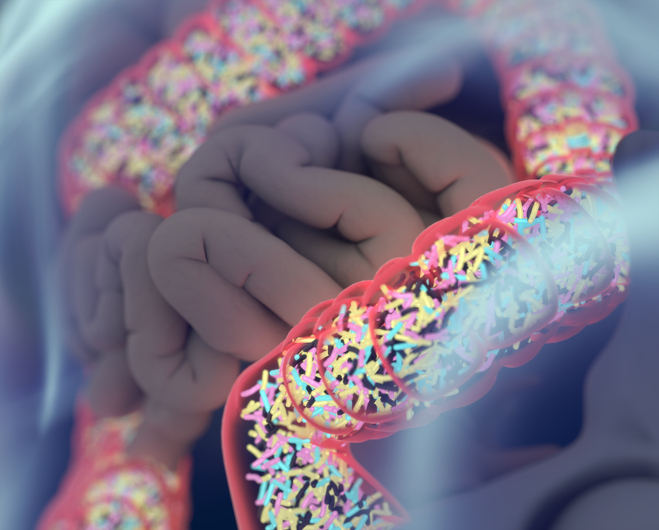 The colon is colonized by a dense and complex community of bacteria (which can amount to 100 million bacteria per gram). These organisms have a major impact upon health because they supply nutrients, convert metabolites and interact with host cells. The make-up of this bacterial community is highly dependent upon dietary habits. The energy sources that support colonic flora are endogenous mucin and dietary components that resist degradation in the upper intestinal tract – fiber. Depending on the energy source, these bacteria secrete different metabolites (i.e., vitamin K, short-chain fatty acids like butyrate, carbon dioxide, hydrogen, methane, etc. ), which can have beneficial or negative effects on the body. For example, butyrate influences the health of the gut mucosa. Feed the intestinal flora good quality, whole grain fiber, and beneficial bacteria that produce compounds to help our bodies will flourish. But, feed them white, refined flour and sugar, and the putrefactive, detrimental bacteria will thrive – and poison us. 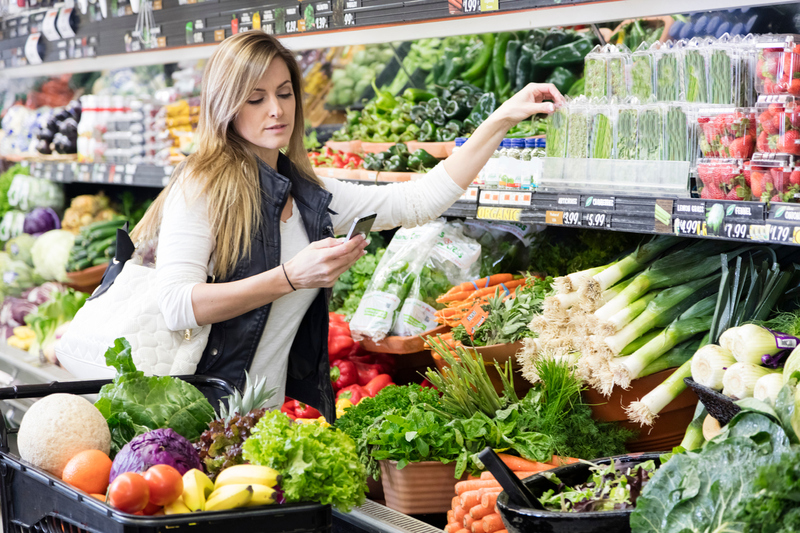 Prebiotics (e.g., fructooligosaccharides) are generally fiber products that support bacteria growth by providing short-chain carbohydrates that the bacteria use as an energy source. Probiotics are also a good source of some of the flora (principally Lactobacillus). The best food sources of cultured beneficial bacteria are fermented foods like yogurt, sauerkraut, kimchi, and kefir. But, only 25% of the bacteria identified in the human colon are species that man can culture in the lab. So, the only way to get a well-rounded variety of intestinal flora is through a varied diet. Eat raw foods, have a picnic, go camping, eat a little “dirty” to expand your intestinal flora. From the beginning, mankind has used plants to improve the flavor of food. Science is only now elucidating how the many and varied compounds in herbs and spices - added in small amounts to food - can have cumulative effects on human physiology. Curcumin is one such compound, found in turmeric and curry, which can modulate the immune response by reducing the activity of transcription factors (i.e., NF-kappaB) that make inflammatory proteins. Most herbs and spices - such as green tea, cloves and licorice - have antioxidant activities. Don’t hold back on using herbs and spices in your cooking, you’ll get better flavor and health benefits that are not yet quantifiable. If variety is the spice of life, then spices give variety to life. In addition to eating a diet rich in the nutrients mentioned above, optimum immune function requires adequate sleep, hydration, and exercise. Immune cells circulate throughout the body in the blood and lymph. Exercise helps keep the blood aerated (saturated with oxygen) and stimulates the lymph nodes to flow freely and function properly. Studies have shown that people who exercise in the morning are more likely to succeed at developing a healthy exercise habit. So, go to bed early, get up early to exercise in the morning - and drink plenty of water throughout the day. In conclusion, the immune system is challenged constantly by endogenous and exogenous threats. The important thing to keep in mind is: Too little or too much of a substance can throw the immune response out of equilibrium – causing a weak response that results in disease, or an over-exaggerated response that causes sickness. If you stick with a variety of natural foods and natural food concentrates to ensure a nutrient-dense dietary intake, the immune “enhancing” molecules will be present in bioavailable and balanced amounts. Dr. Robert Irons graduated from the University of Missouri at Columbia with a Ph.D. in Nutritional Immunology. He received postdoc training at the National Institutes of Health (NIH), National Cancer Institute (NCI) in the Nutritional Science Research Group. He has published in peer-reviewed journals such as the Journal of Nutrition, Journal of Infectious Disease, and Biochemical Journal and was an active health advocate on many health boards, such as NHF and PPNF. Dr. Irons was the former Vice-President of Sonne's Organic Foods, Inc. before sadly passing away in 2013.